If they are INSTRUCTion books, they are designed to INSTRUCT. Your reader must come away knowing HOW TOdo something. More than any other type of book, a good how-to depends on writing that is crystal clear. Think of how many muffin cookbooks there are. People buy them all. What will be your particular "take" on making muffins? Do you have some special expertise? Are you a nutritionist? a bakery or restaurant owner? a chemist?Do you have a tie-in to another story? Are your muffins good for heart health? connected to some cultural event? What makes your book stand out from the crowd? This tip does not apply to all how-tos. If you are writing instructions on assembling pre-fabricated furniture, limit yourself to the barest of instructions. If, on the other hand, you are writing a book on how to build sun decks, you might choose to give information on types of wood and other building materials. Many craft books put all materials at the beginning of each project so readers know up front what to buy. Self-help books do not need to include such a list. Taking someone through getting a divorce might have a chapter on each step and the table of contents becomes the "materials list." Many tasks require a step-by-step process. If you do not have to follow a particular set of steps, find a logical organization for your information. Some instructions go from general to specific, some stack a series of specifics to build to the big picture. If you are using the building block approach, give your readers a vision of what they are building before you give them the first steps. My writing tips pages are a kind of manual. The numbering helps people know when they are going to move to something completely different. The bold type is a visual shorthand for those who prefer to skim rather than read word by word. If your book includes special features like safety tips (see Instruction Manuals Writing Tip #9 below), icons in the margins can give readers a heads up. Think of lavishly illustrated cook books. The photos often sell the books. Other cook books have no illustrations. Some types of instructions, such as those for origami, benefit from line drawings. If you can't do your own illustrations, consider contacting art schools or even high school art departments for recommendations. Keep sentences shorter than in other types of writing. Use point form when it will help. They will be asking what, when, where, how and sometimes who and why? If there are any special safety considerations, highlight them. Physical safety is obvious, but there are other kinds of safety. Word processing instructions should include warnings about hitting a delete key, and the first aid remedy of how to reenter whatever was deleted. If you are writing a book with instructions on a physical activity, follow the instructions yourself as you wrote them. Then have someone from your target group follow them. If your subject is not physical, have another specialist in your field check what you've written. Not only will you have an expert opinion, but also you will have a potential endorsement for your book. Once you have tested and retested your work, give it to someone else to test. An editor who understands the particular nature of a how-to book or manual can tell you which editing services would best meet your needs. Contact me if you want personal help writing your manual. One of the editing services offered here is a sample edit. 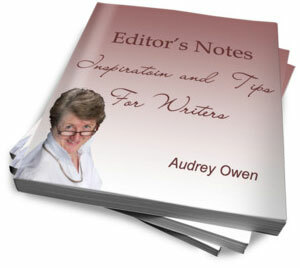 Writers of manuals are only one group of writers who need editing services. 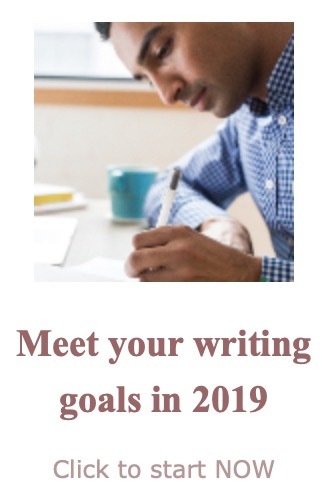 If you are a writer, check out the the home page to see what help you could use.